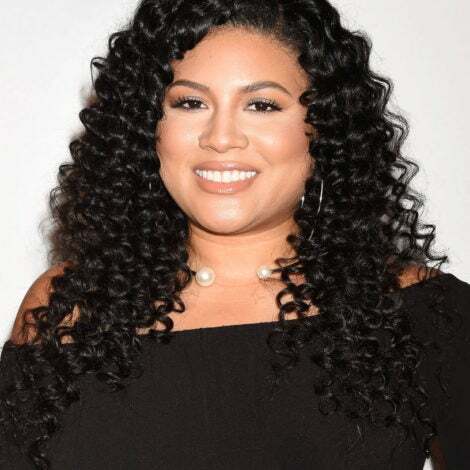 There’s no such thing as too much hairspiration. 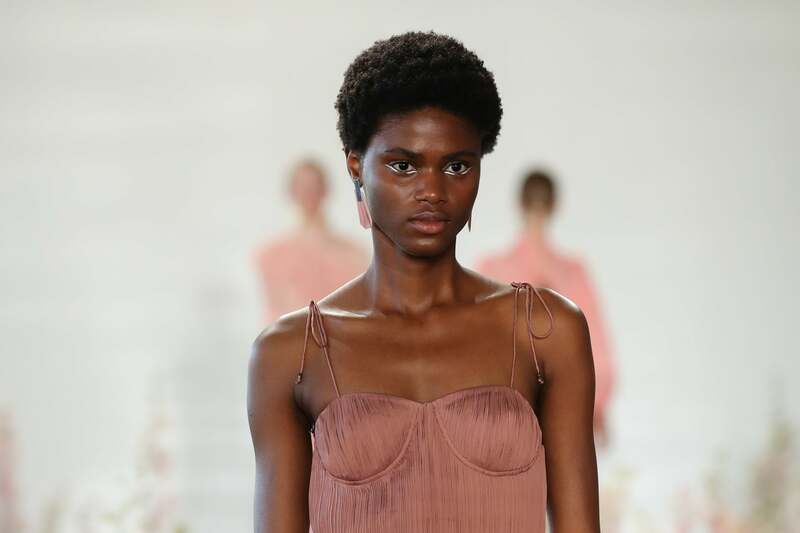 Prepare to be obsessed with the models who brought a little extra texture to the latest edition of New York Fashion Week. 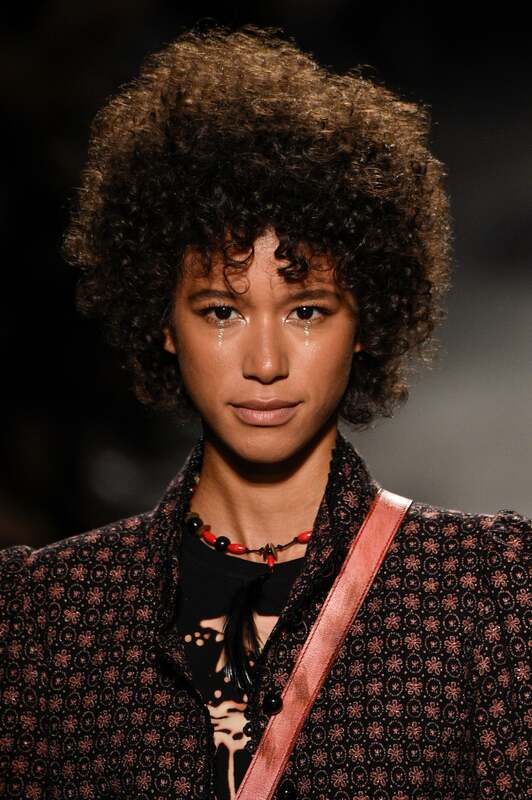 A model flaunts her spiral curls on the Desigual runway. 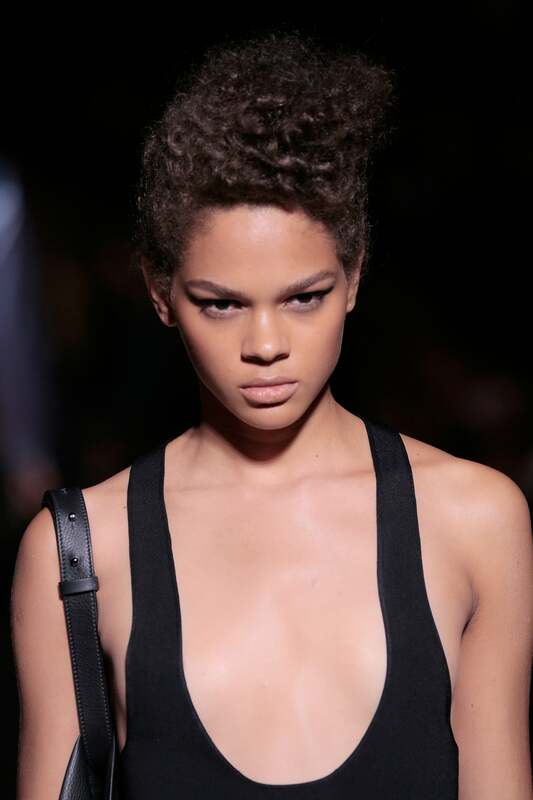 A model slays the Tom Ford catwalk in this natural pompadour. 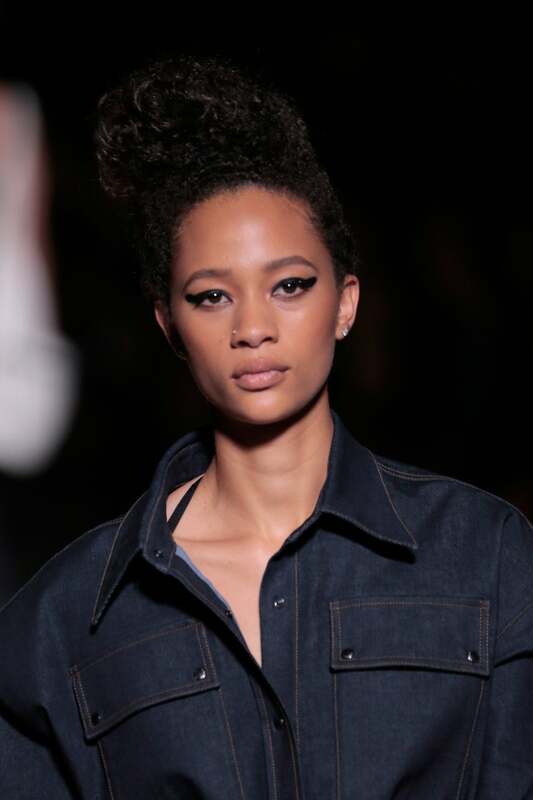 Selena Forrest slays the Tom Ford catwalk in this natural pompadour. 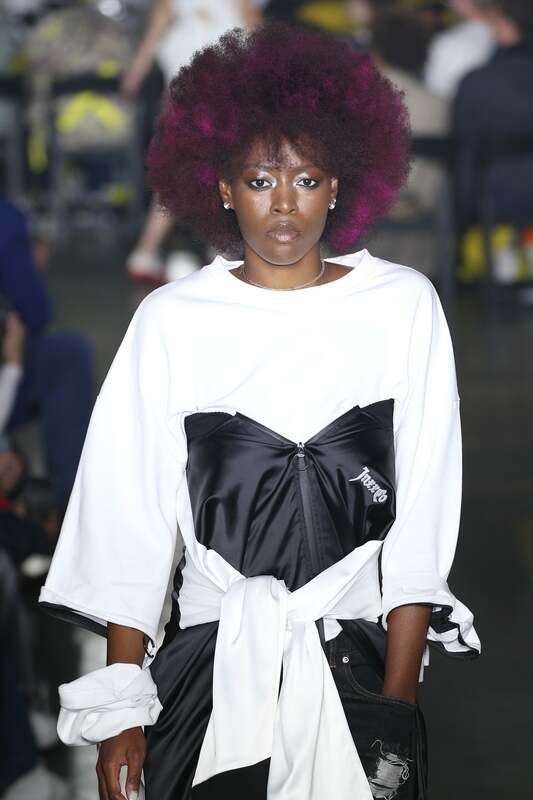 A model stuns in her burgundy afro at the VFILES show. 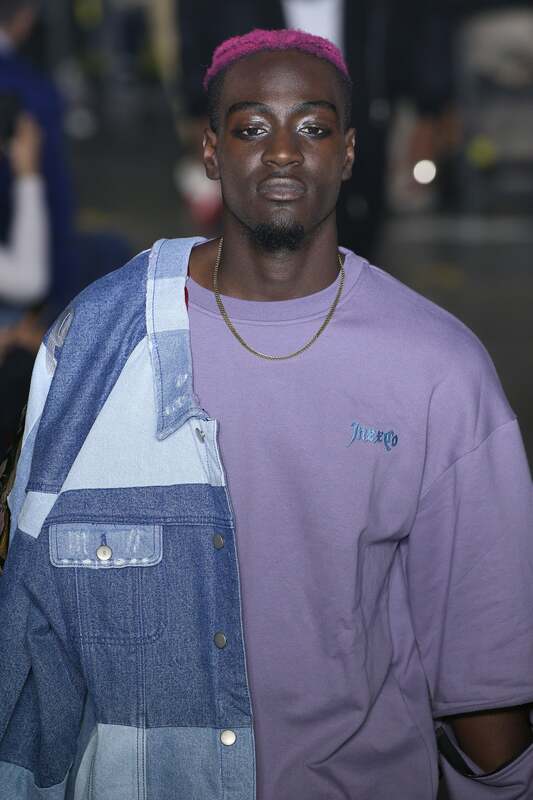 A handsome model dons grey kinks on the VFILES runway. 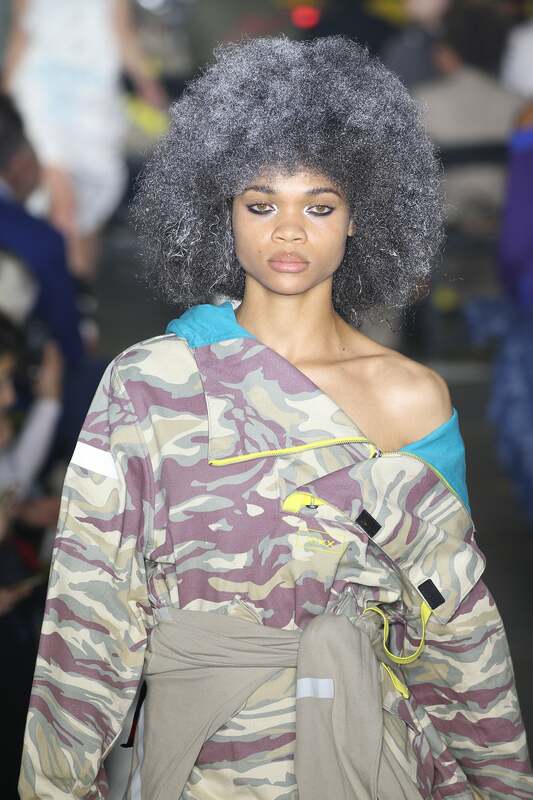 A model flaunts her gorgeous grey afro on the VFILES runway. 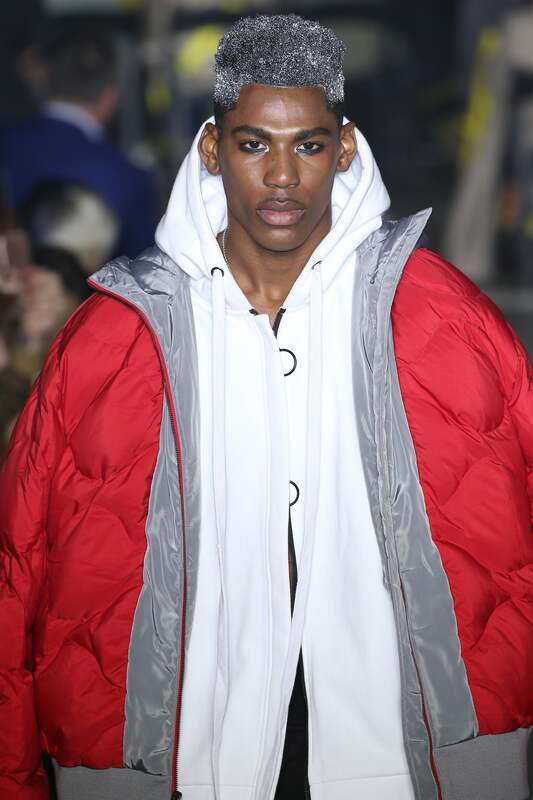 A model goes red hot for the VFILES show. 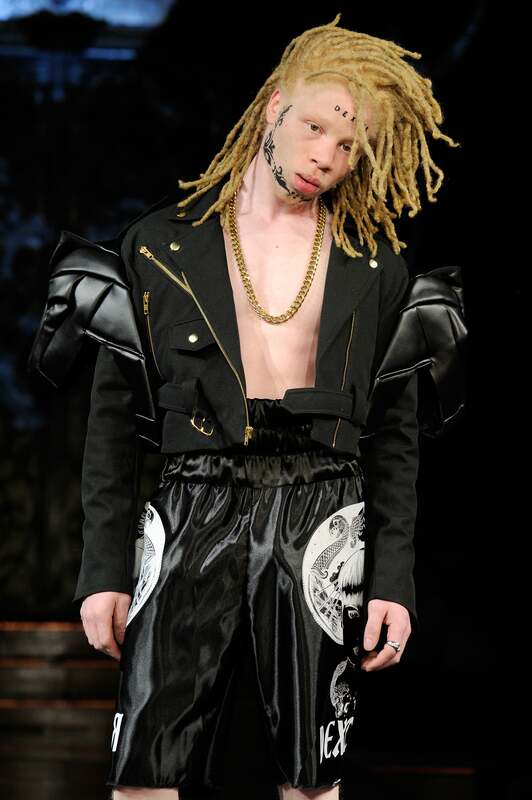 A model proudly walks the VFILES runways in short locs. 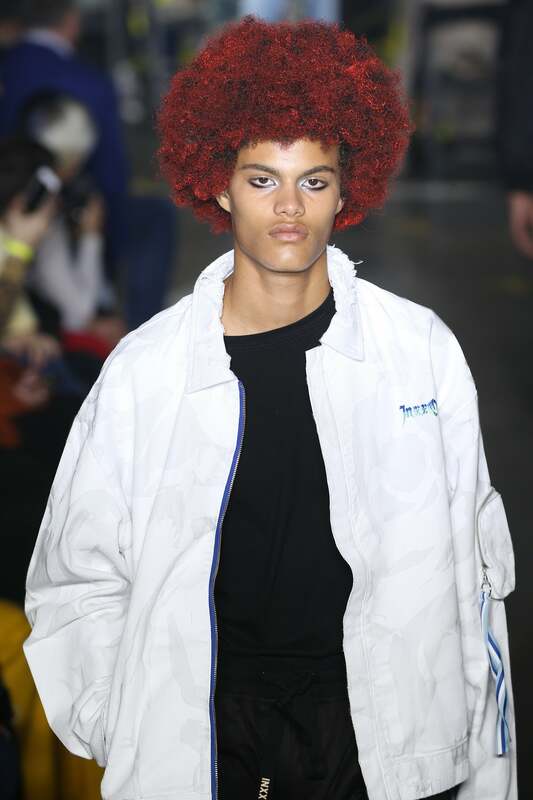 A model rocks hot pink hair on the VFILES runway. 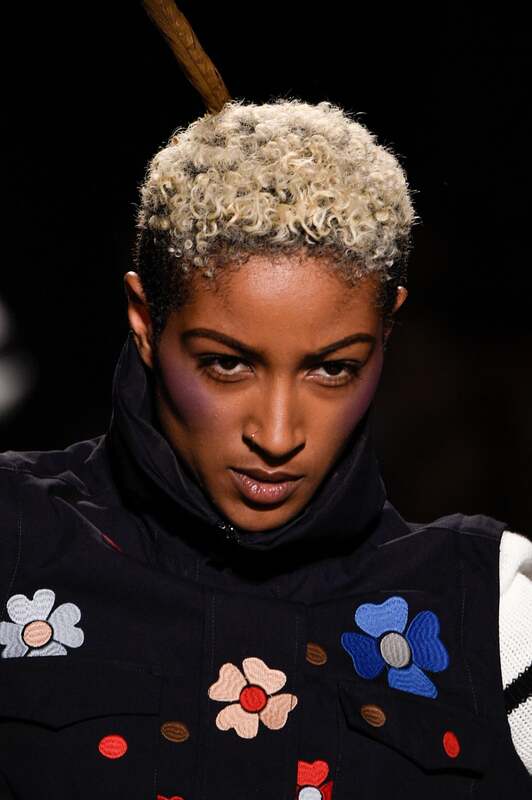 A model rocks half brown, half grey locks on the VFILES runway. 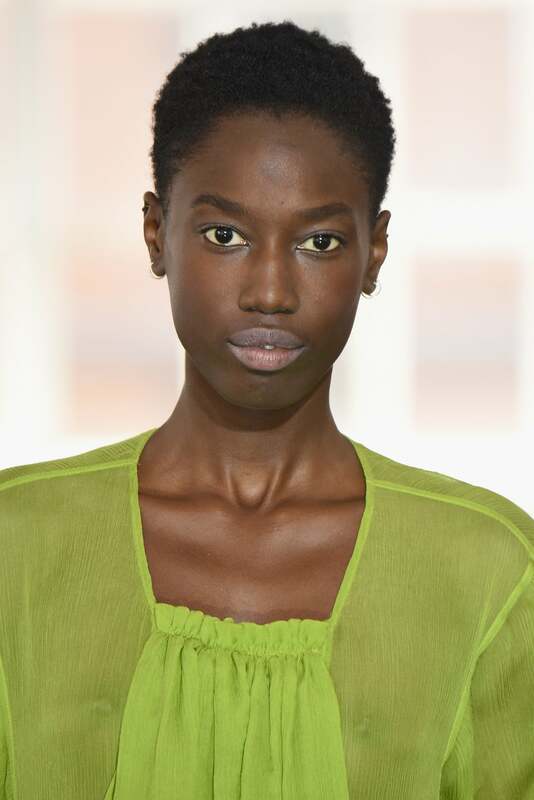 A model looks stunning in a buzz cut during the Greta Constantine presentation. 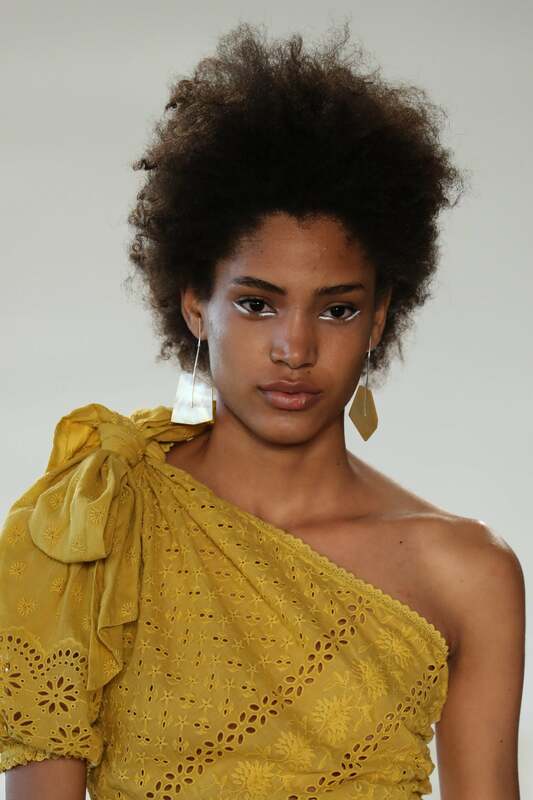 A model rocks tiny twists during the Greta Constantine presentation. 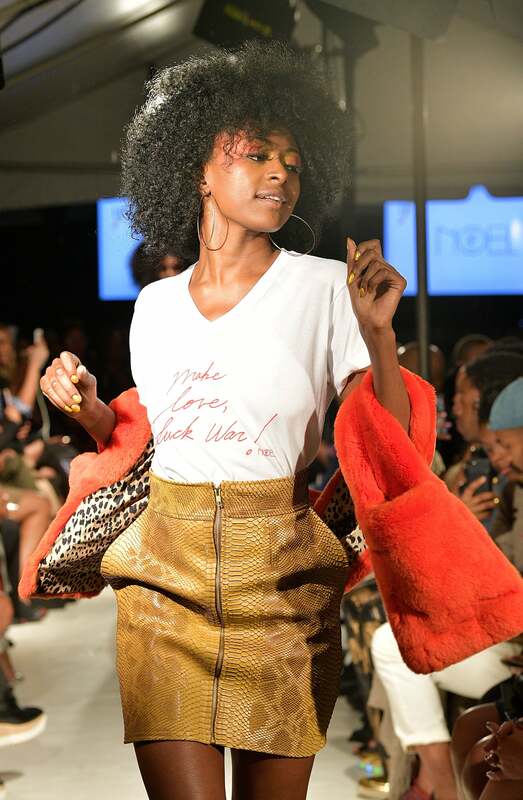 A model struts her stuff in a TWA on the Harlem's Fashion Row runway. 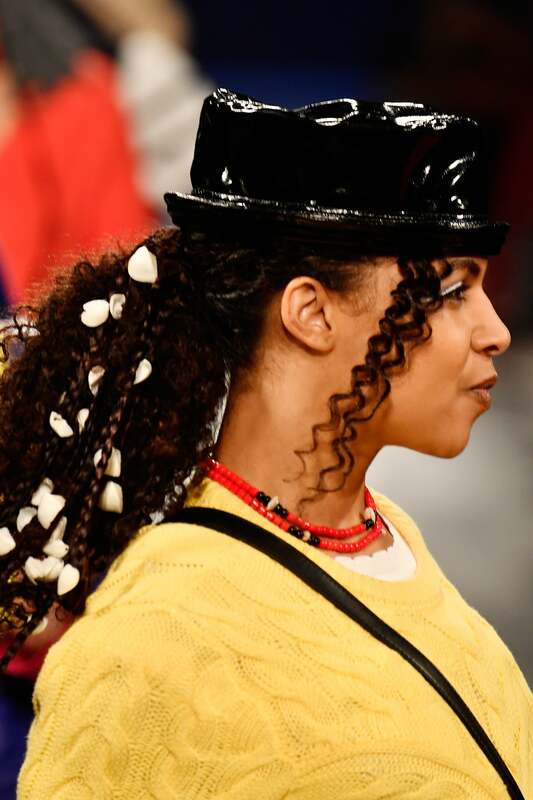 A model embraces her curls on the Harlem's Fashion Row runway. 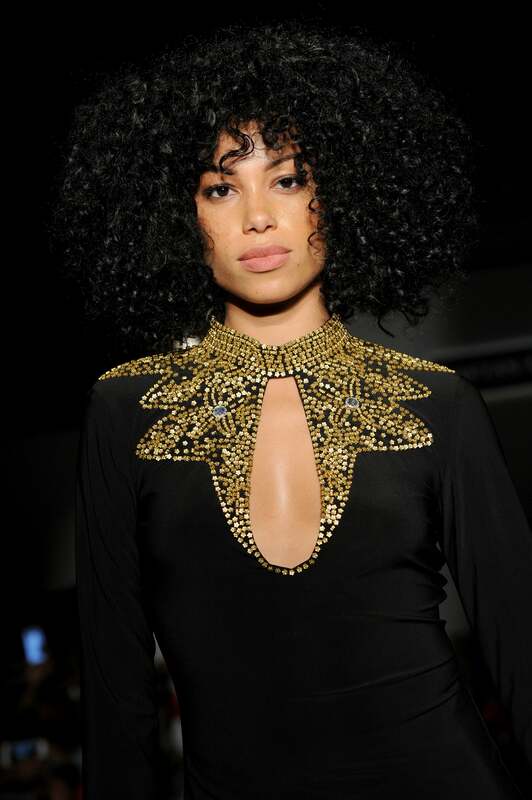 A model kills it in curly kinks on the Harlem's Fashion Row runway. 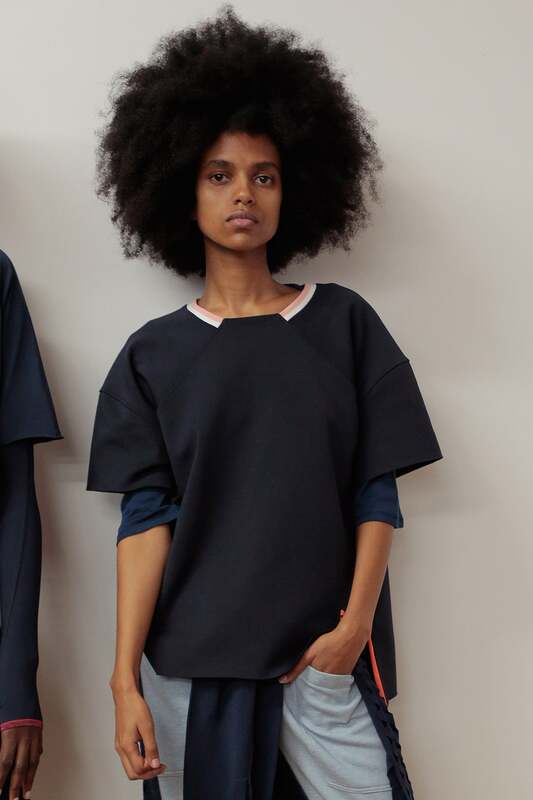 A model poses in her larger than life afro during the Nevermore presentation. A model poses in her natural mohawk during the Nevermore presentation. 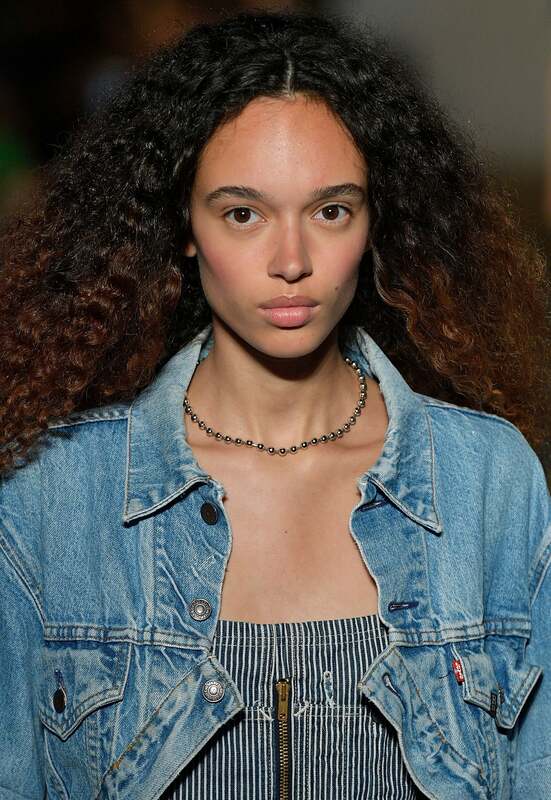 A model poses pretty in her loose curls on the R13 runway. 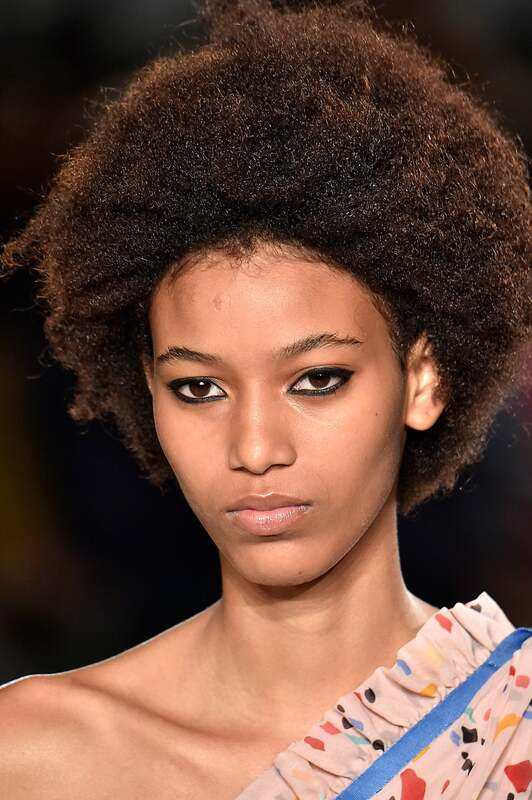 A model walks the R13 runway in her beautiful afro. A model shows off her voluminous ponytail during the Miaou presentation. 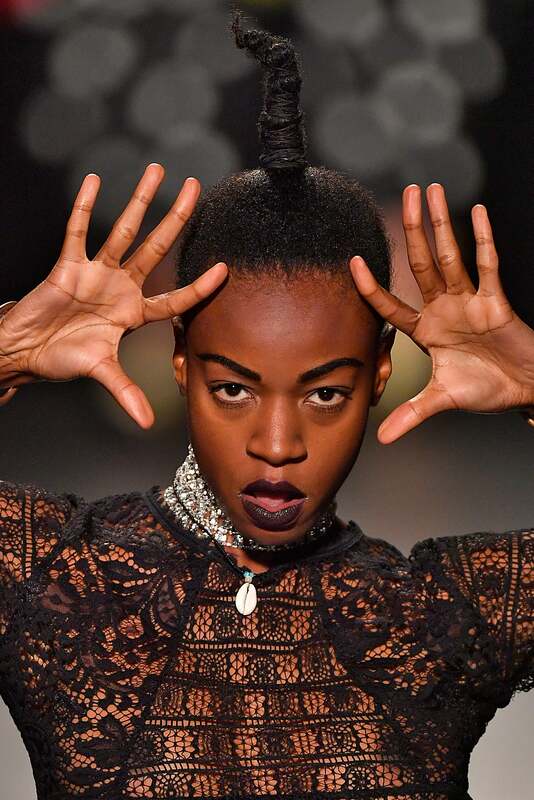 A model flaunts her coils and kinks on the Brock Collection runway. 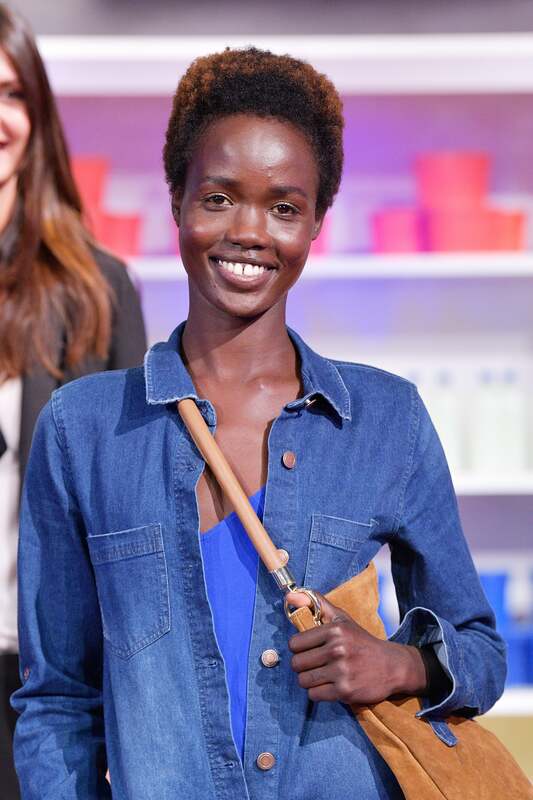 A model poses in high fashion and a brown afro during the Esmara By Heidi Klum Lidl Fashion presentation. 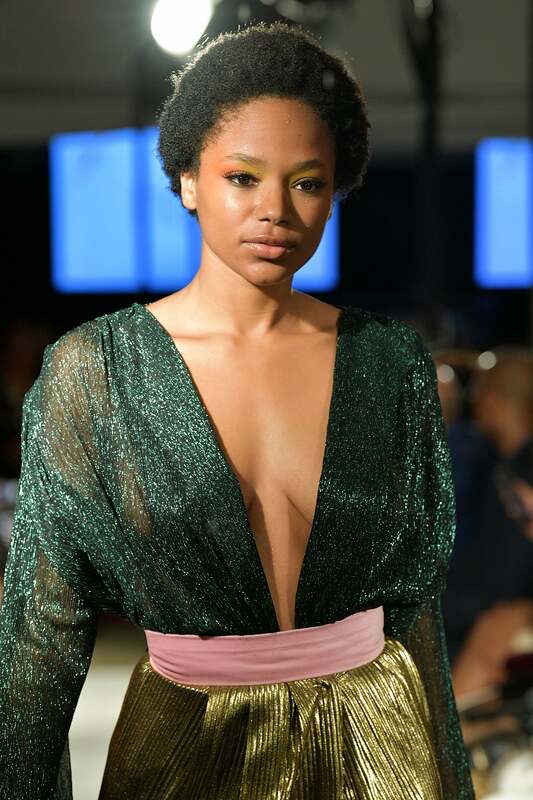 A model smolders in loose waves on the Aisha McShaw runway. 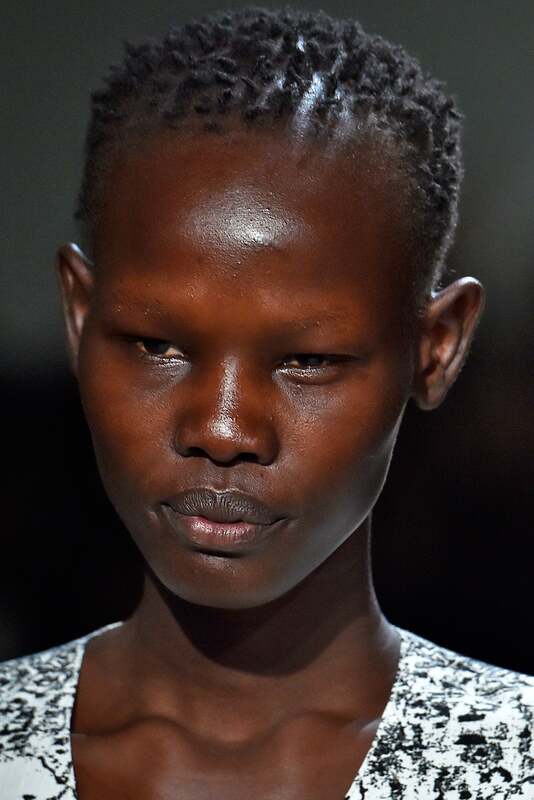 We spot cornrows on the Noon by Noor runway! 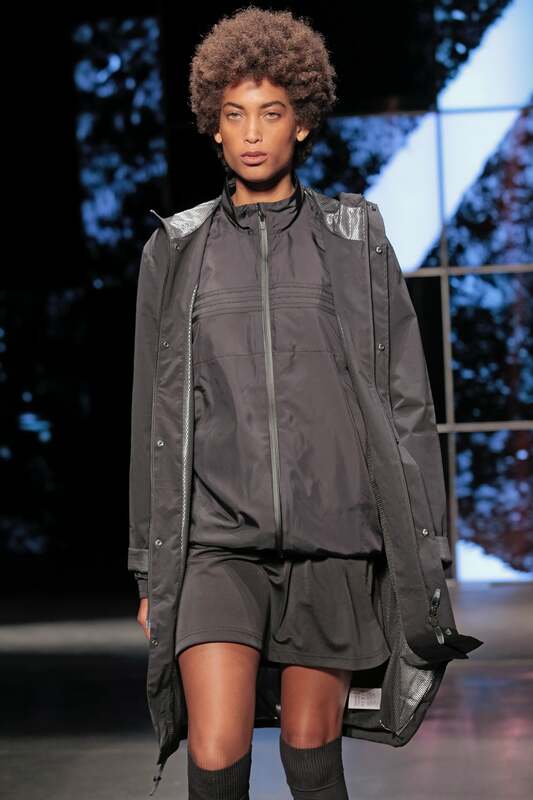 A model rocks a messy ponytail on the Kith Sport runway. 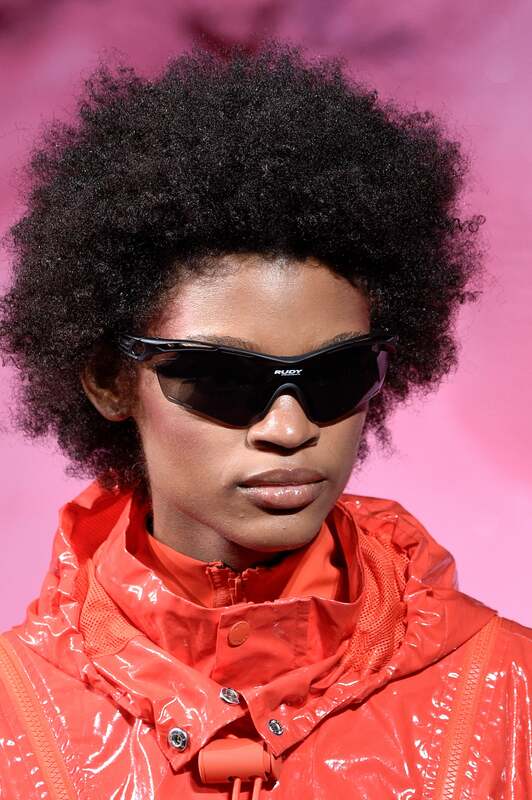 A model looks cool as a cucumber in her glorious afro on the Kith Sport runway. 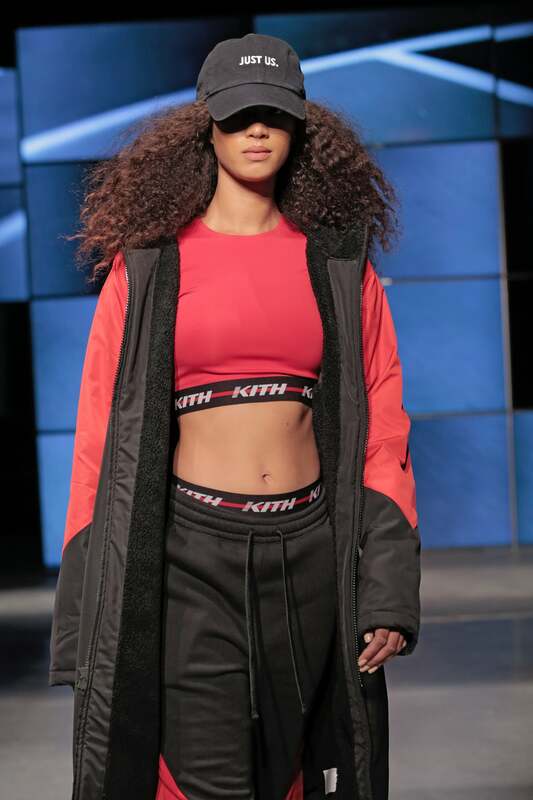 A model's mane can't be contained under a cap on the Kith Sport runway. 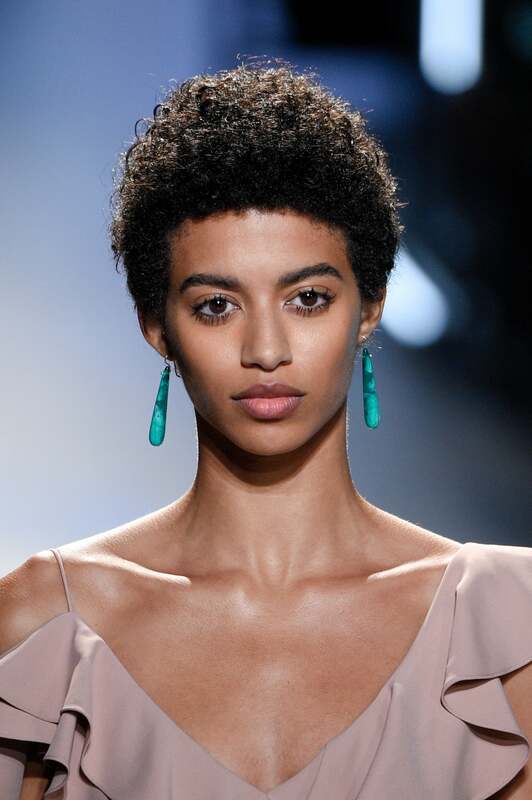 A model looks regal in her fro on the Tadashi Shoji runway. 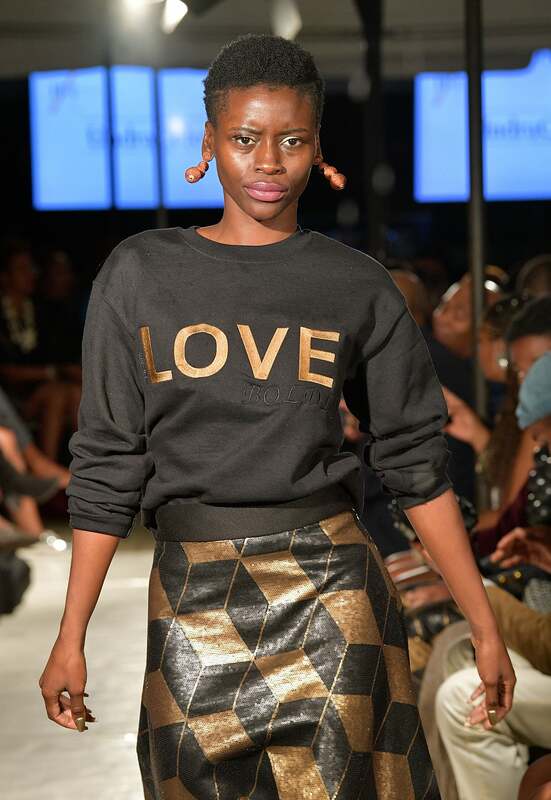 We can't get over these beautiful blonde locs spotted on the Dexter Simmons runway. This blonde pixie stole our attention on the Desigual runway. 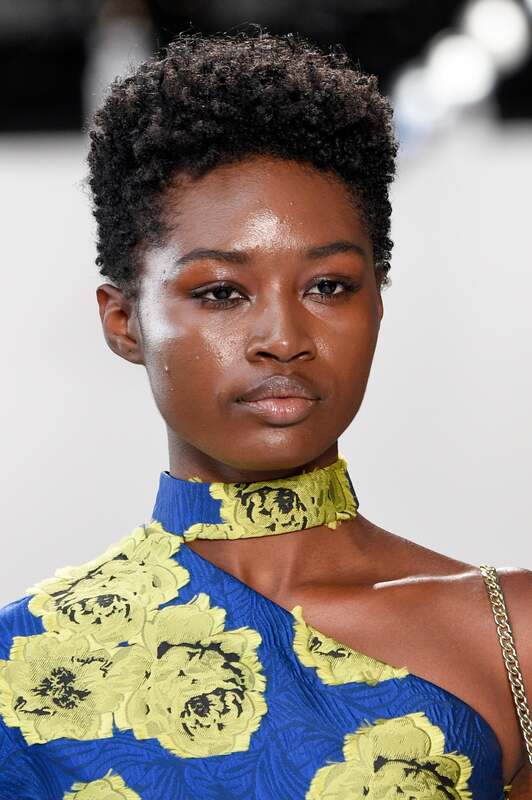 Top knot goals spotted on the Desigual runway. 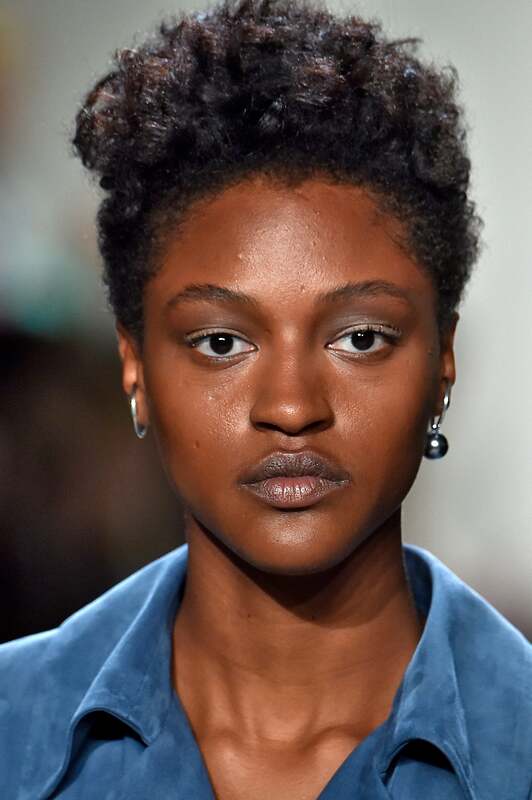 This TWA was spotted on the Ulla Johnson runway. 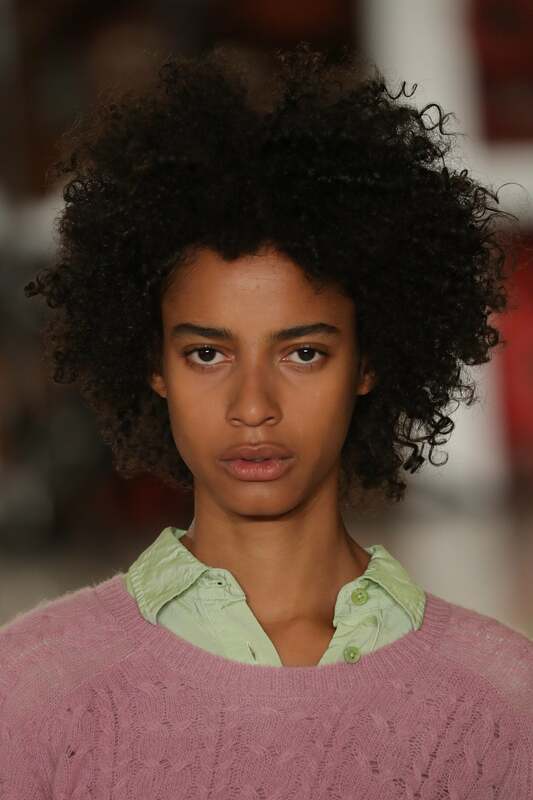 Glorious kinks and coils took over the Ulla Johnson runway. 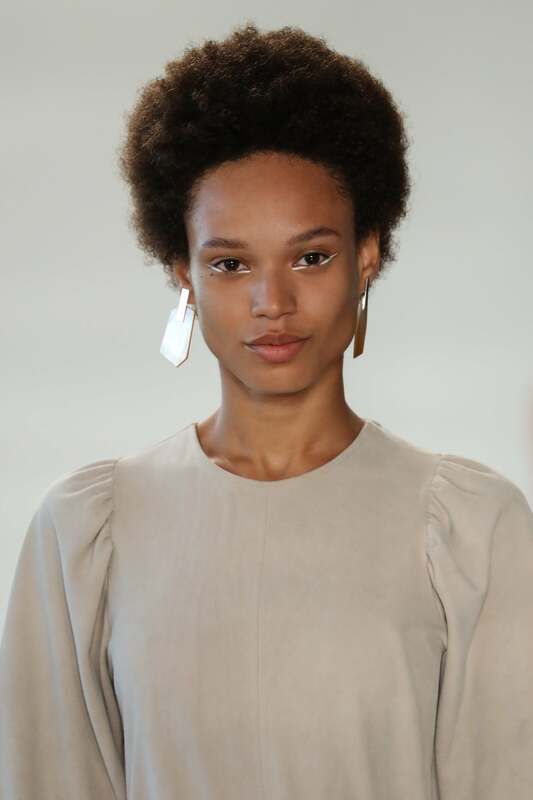 Afros galore on the Ulla Johnson runway. 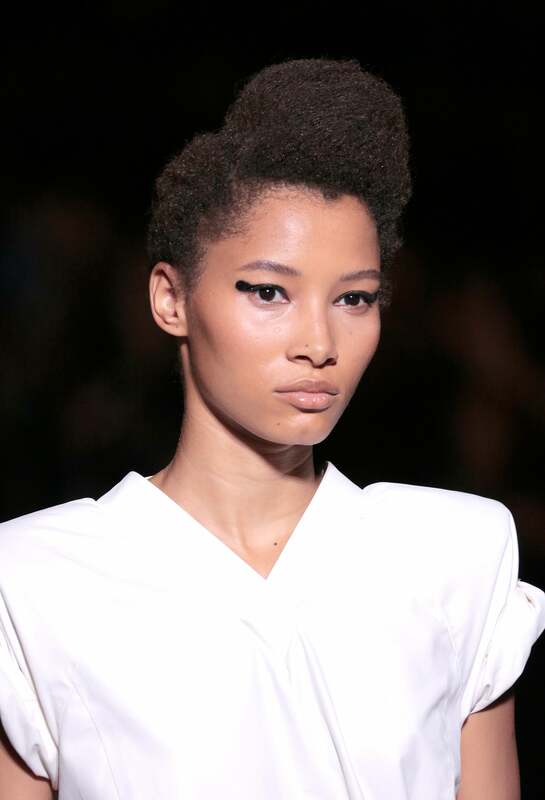 Completely mesmorized with this coif, spotted on the Malan Breton runway. 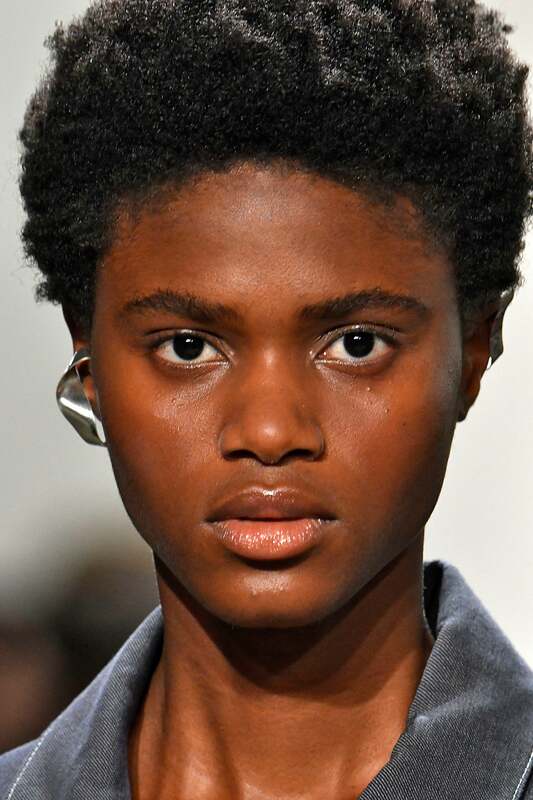 Texture ruled the Adam Selman runway. 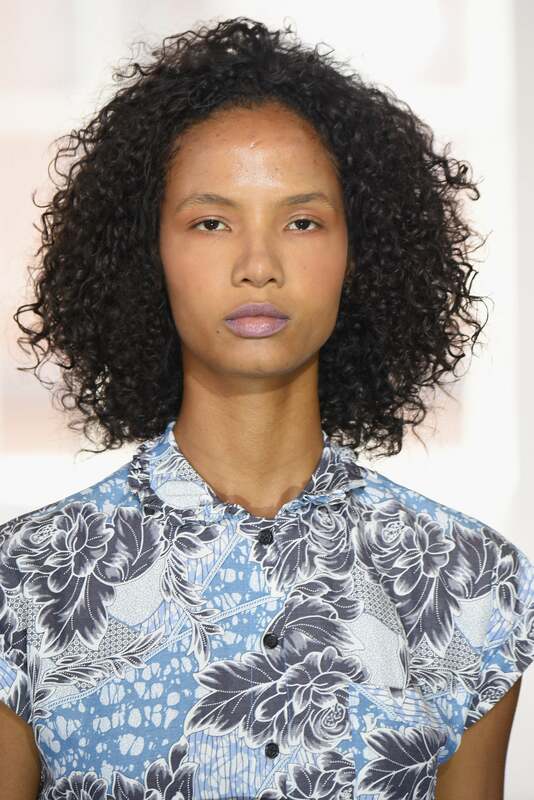 Hereith Paul looked drop dead gorgeous on the Adam Selman runway. Black excellence spotted on the Sechs Element runway. 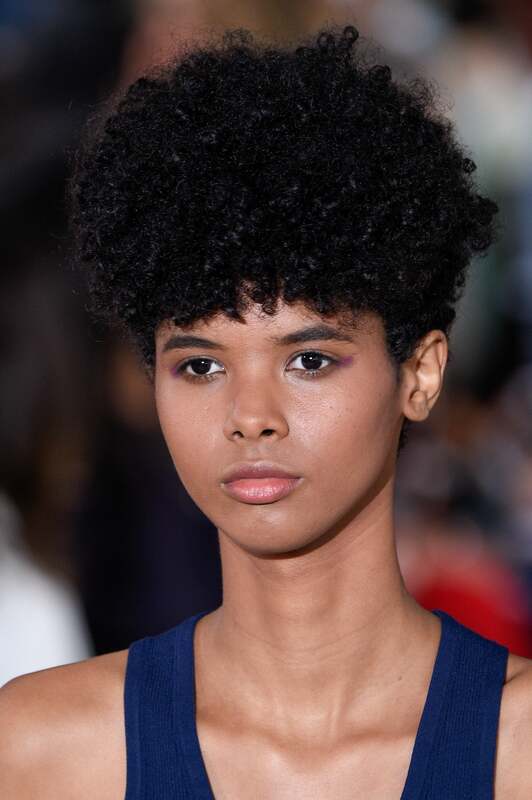 The Creatures of Comfort team sent plenty of textured hair beauties down the runway. 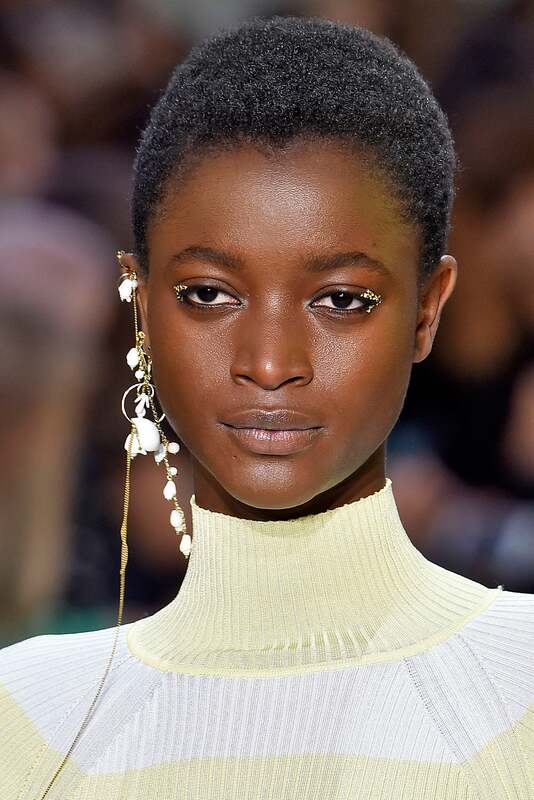 Short hair, don't care goals on the Creatures of Comfort runway. 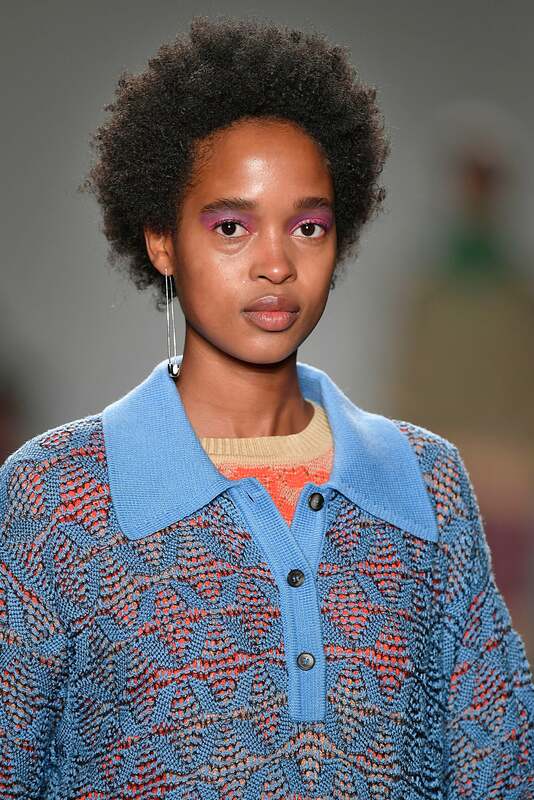 Beautiful curls spotted on the Creatures of Comfort runway. 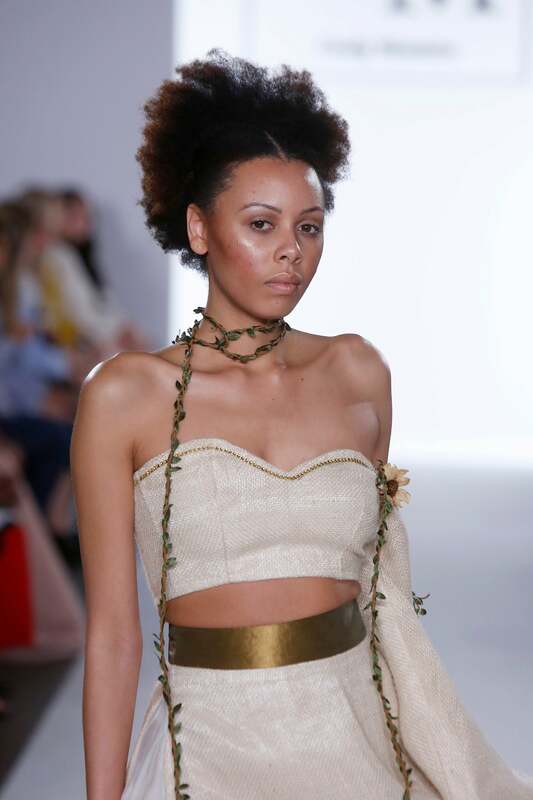 A textured beauty walks the runway for Cindy Monteiro. 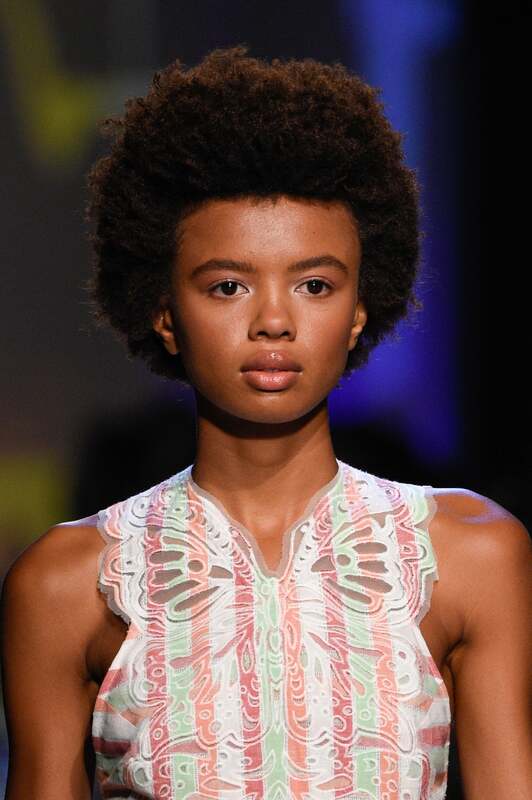 A model walks the runway at the Self-Portrait show. 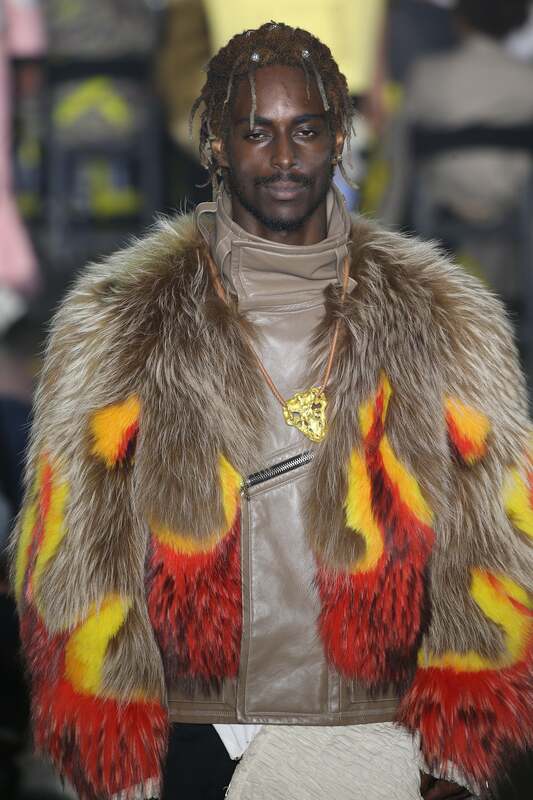 Achok Majak walks the runway at the Creatures of the Wind show. 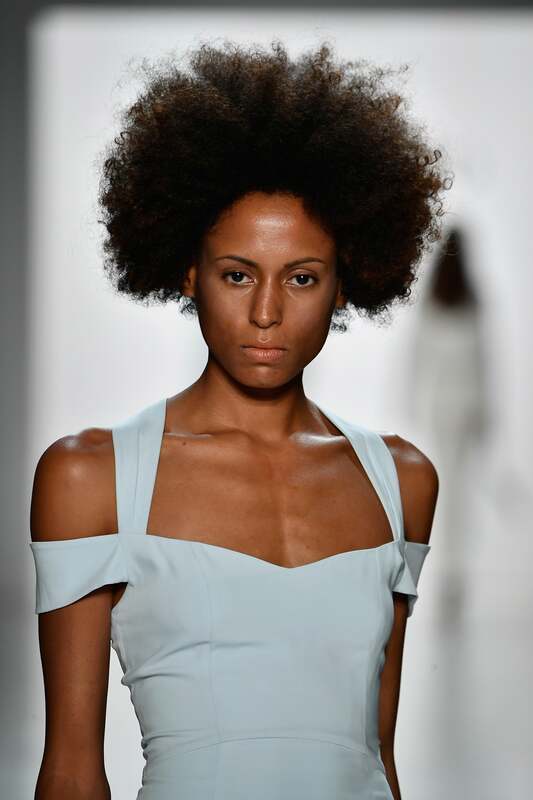 A model walks the runway at the Brandon Maxwell show. 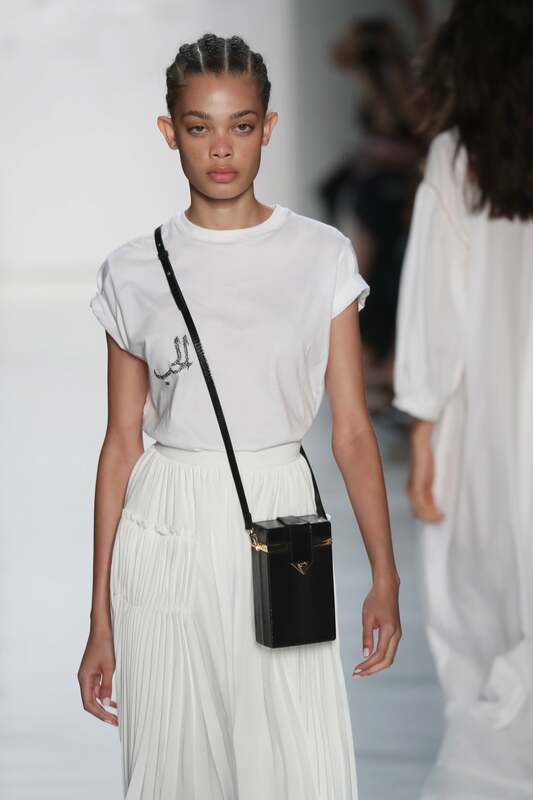 A model walks the runway at the Tibi show. 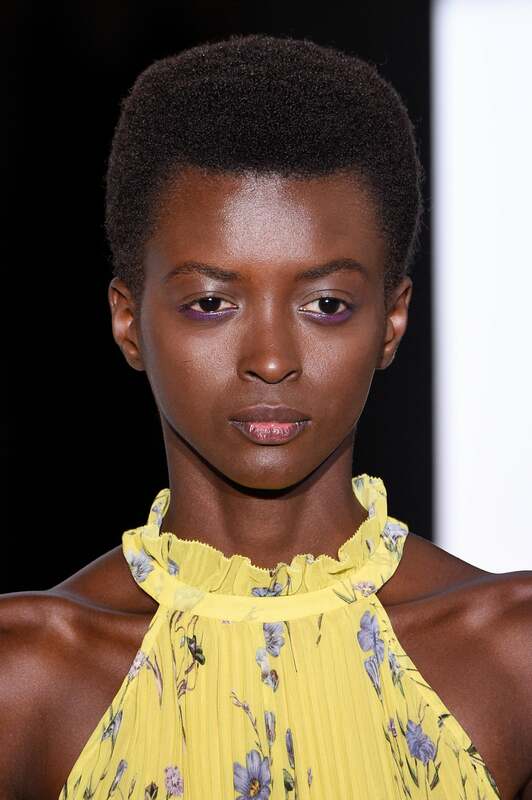 A model poses on the runway at the Eugenia Kim show. 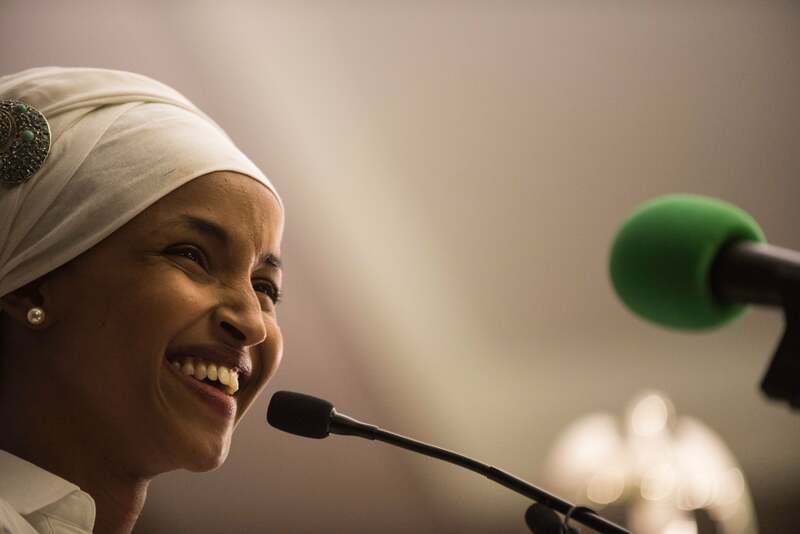 A model walks the runway for Kaftan Citra. A model walks the runway for Anna Francesca. 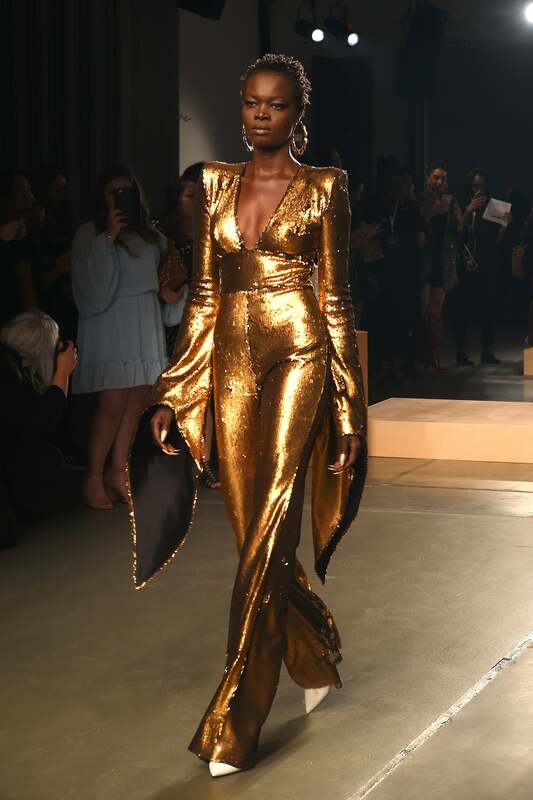 A model walks the runway at the Christian Siriano. 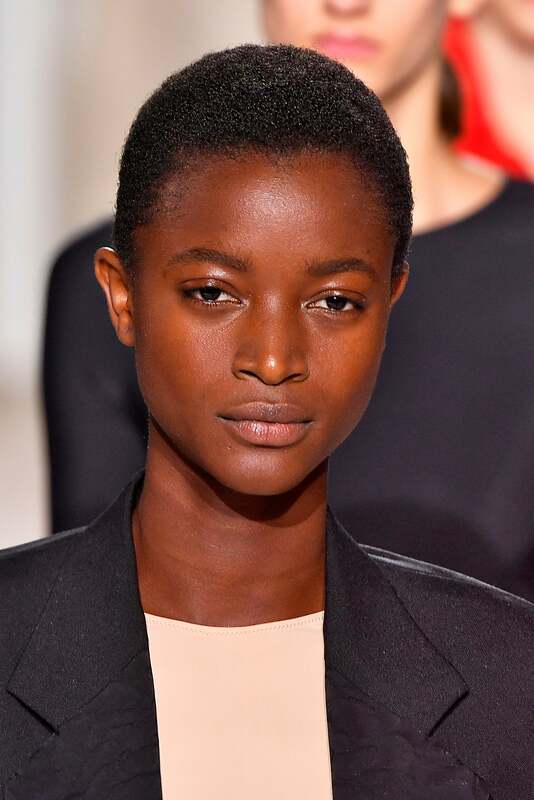 Maria Borges walks the runway at Cushnie et Ochs. 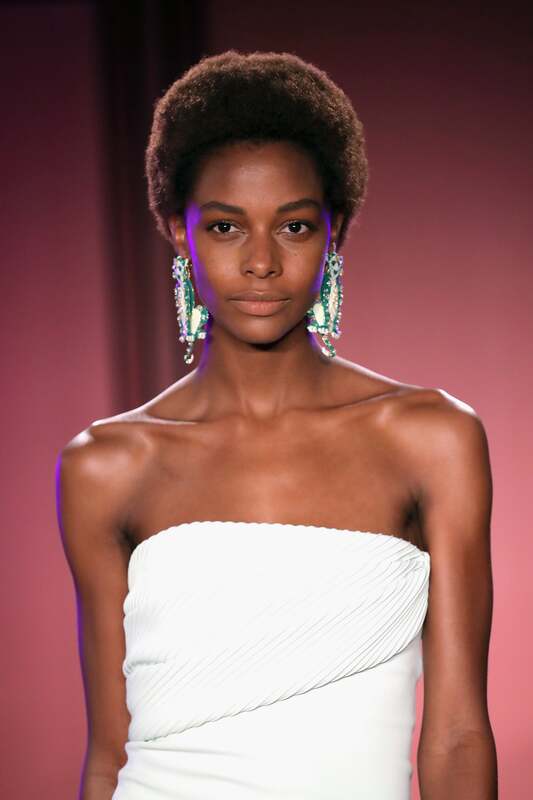 Jourdana Phillips walks the runway at Cushnie et Ochs. 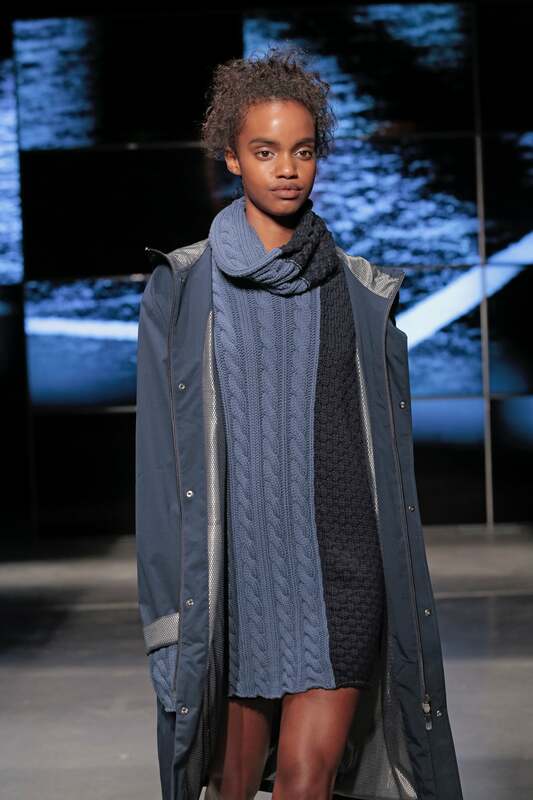 A model walks the runway at Sie Marjan. 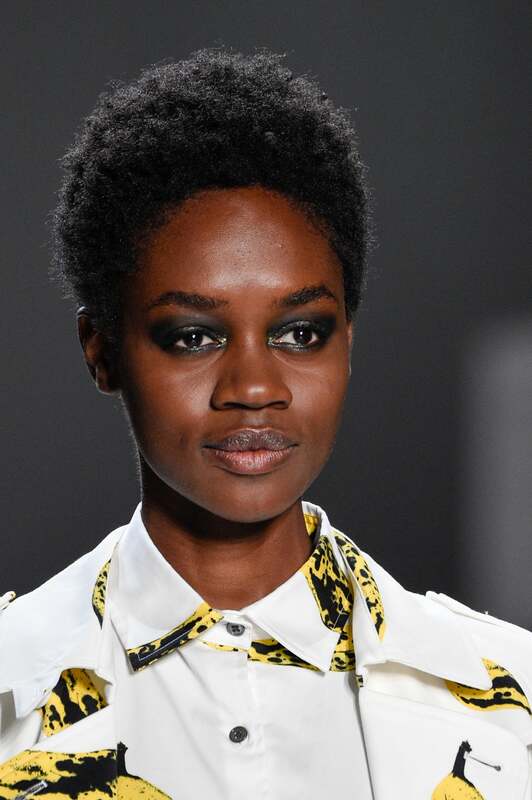 A model walks the runway at Vivienne Tam. 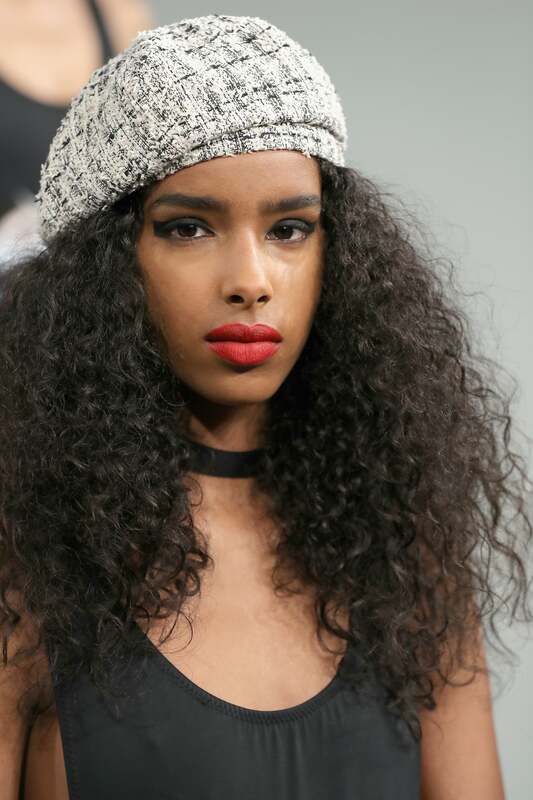 A model walks the runway at the Jonathan Simkhai show. 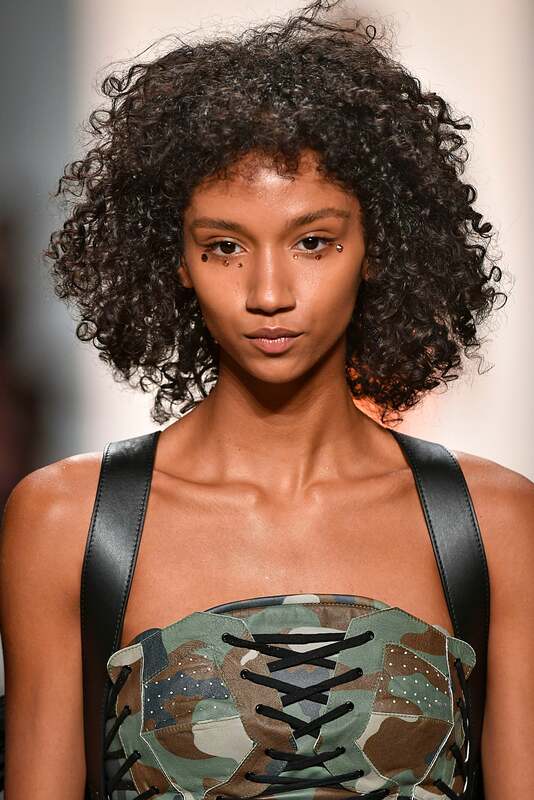 A model walks the runway during the Jeremy Scott show. 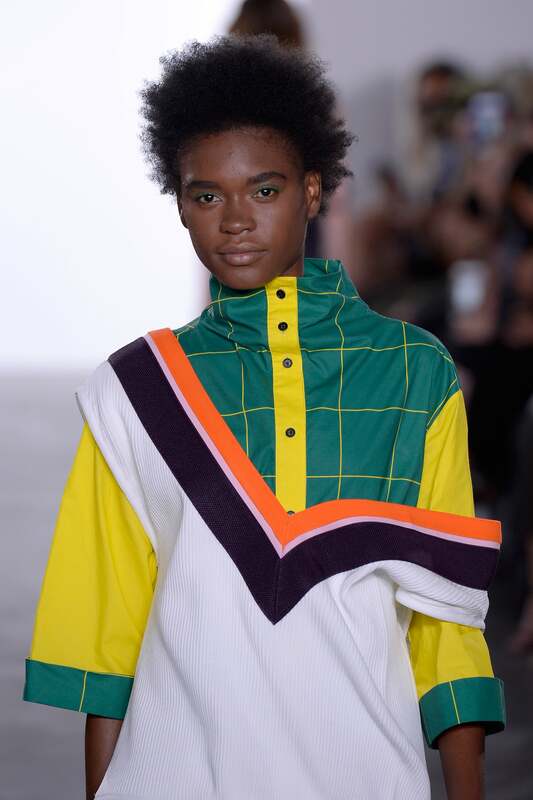 A model walks the runway at the Fenty Puma By Rihanna show. 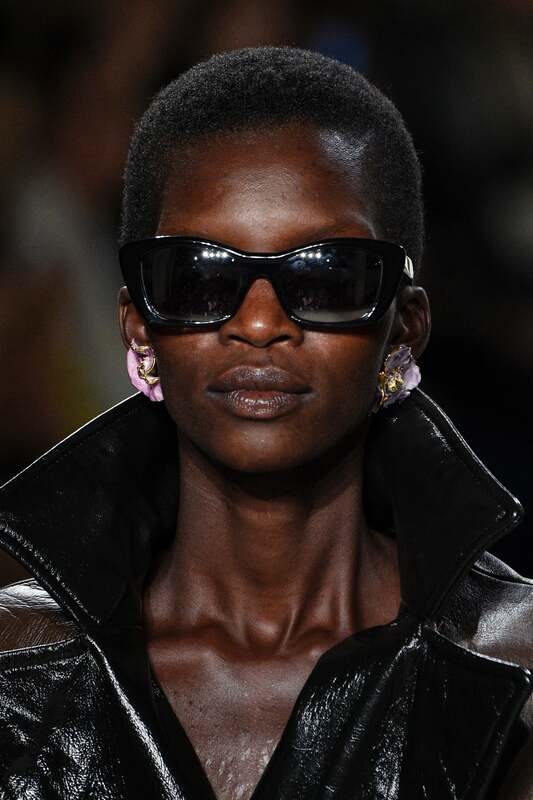 A model walks the runway for Victoria Beckham. 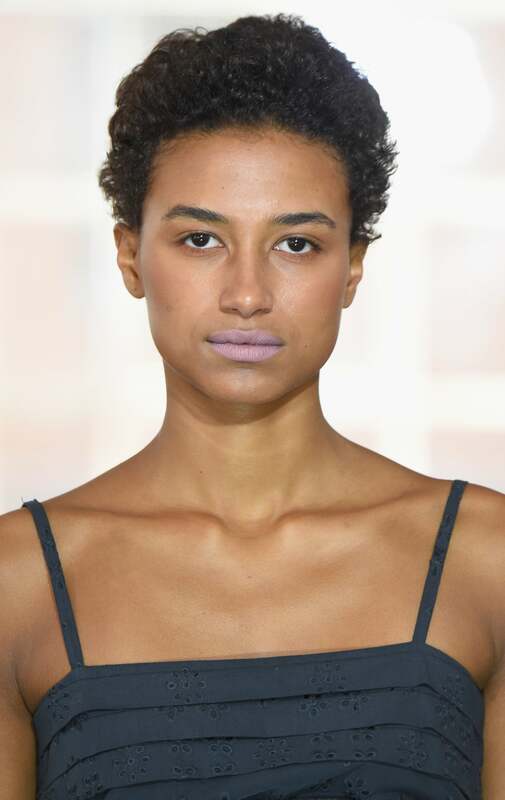 A model walks the runway at the Dion Lee show. A model walks the runway for Vivienne Hu. 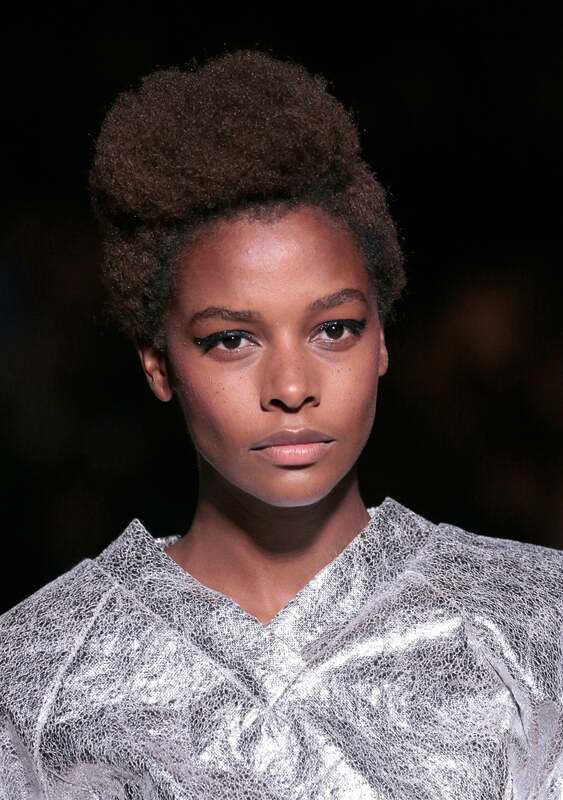 A model walks the runway at Libertine. 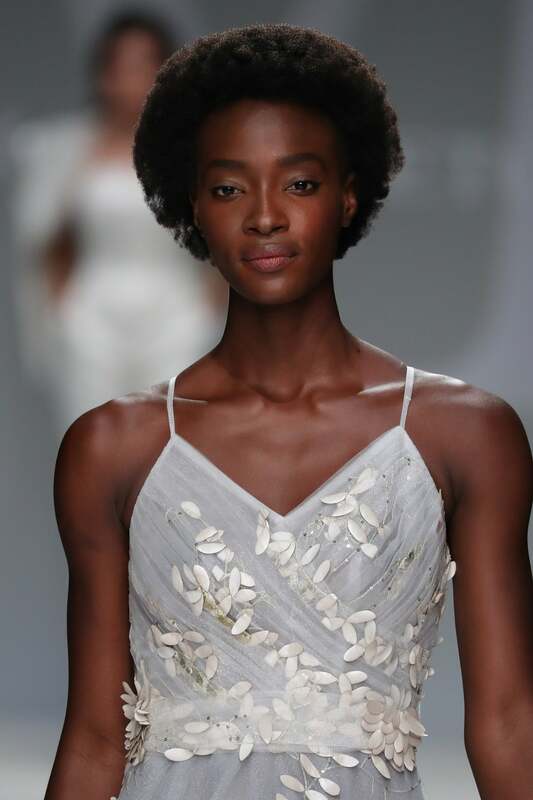 A model walks the runway for the Badgley Mischka fashion show. 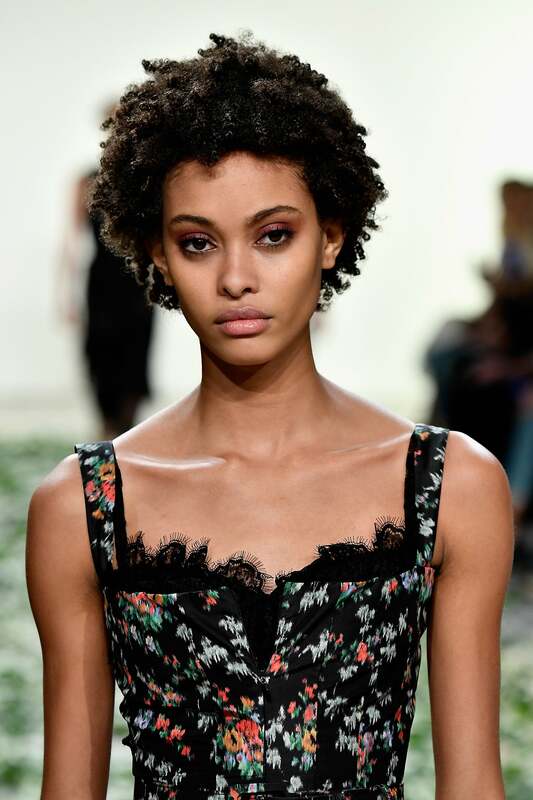 A model walks the Zimmermann Ready to Wear fashion show. 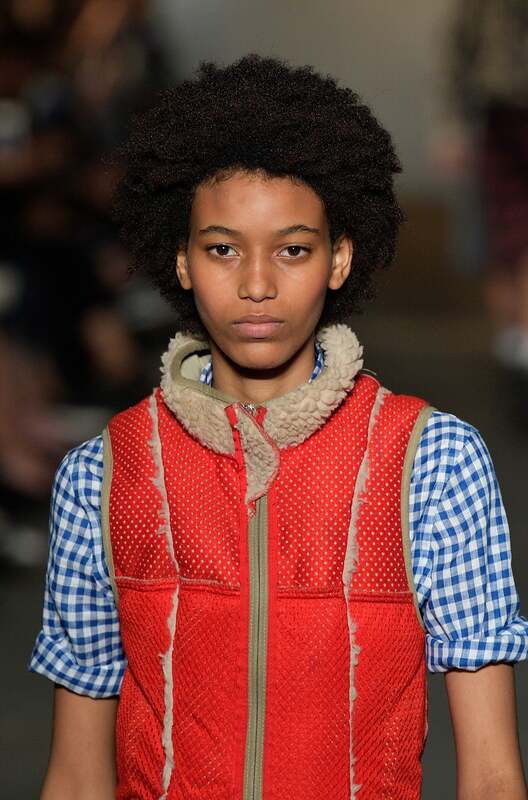 Dilone walks the Anna Sui runway. A model walks the runway at the Colovos Ready to Wear Spring/Summer 2018 fashion show. 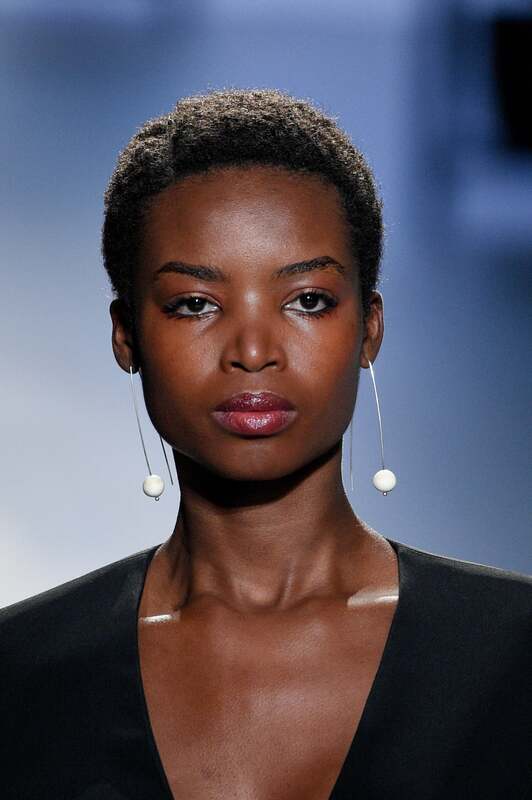 A model walks the runway at the Carolina Herrera Ready to Wear fashion show.